#1 Cochran Toyota, Thank you for in time delivery and I really appreciate the buying experience I had with you it's fast and clear. I came from out of state and purchased a Certified Used Toyota from #1 Cochran. The salesman, Randy Whitlatch was absolutely fantastic. He responded to my online inquiry with 10 minutes, then sent me additional pics of the car after we spoke on the phone. He was friendly and "no nonsense." The price was good and service impeccable. I agreed to take the car and he processed a reserve payment to secure it until I could drive out and pick it up. Upon arrival, he had my information handed off to Lenny Adams in Finance in order to make the purchase fast and easy. The car was in much better condition than I expected (i.e. completely serviced, fully detailed and full tank of gas). I've only purchased 20 or so vehicles from dealers in my life, but this was one of the best experiences I've ever had. I wouldn't hesitate to make another 5 hour drive to buy from Randy and Larry at #1 Cochran again. The staff at Cochran Toyota made this the easiest purchase I have ever had at any dealership! They were very friendly and accommodating, very knowledgeable and put me in a car that I liked at a price I could afford. I can't thank Nolan, Kitty and Charlie enough! I will definitely recommend Cochran Toyota to all of my family and friends! Thank You! My wife and I just leased a brand new 2019 Toyota 4runner off road and could not be happier. Everything went great from our test drive to walking out the door with the agreed upon price. Randy did a great job and was very helpful. I will return when its time for another vehicle. I took my van in due to the check engine light, and also a tire pressure light that wouldn't go out. John was extremely friendly and explained everything that needed to be done in terms that I could understand. They ordered the parts and had it ready the next day. I will definitely be back with any other issues. Thank you, and great job. I typically deal with a mid-state dealer that is substantially less than area dealers so I had my doubts, but Kyle (sales) and Matt (mgr) matched my deal, Then to top it off the business mgr (lenny)beat the price on the platinum warranty.Cochran obviously pushed their people to capture the sale. This is our second toyota as we traded in our Rav4 and the product really does sell itself. So all they have to do is work on the sale, and they did. I highly recommend - they will at least match anyone elses deal. This service team is first rate. They set the bar for professionalism, expertise, and kindness. Always accommodating and make me feel right at home. Top notch! After experiencing a tragic event, we did not have the time or tolerance for a drawn-out car-buying experience. We test drove a 4Runner, explained what we liked and did not like about the model we drove. Nolan and Chad took our feedback and found the car we were looking for. They worked with us in order to get the financing option that worked best for us. 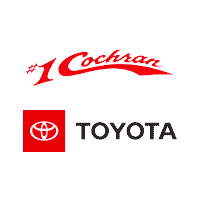 Thanks #1 Cochran Toyota! Treat yourself to the car-buying or-leasing experience that you deserve by visiting with the auto experts at #1 Cochran Toyota. 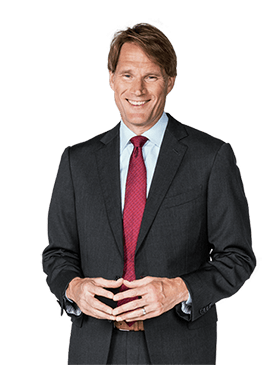 As the local hometown dealer that you can trust, our Toyota sales professionals go out of their way to ensure that you’re a comfortable.No matter whether you want to lease a new Toyota or buy a used Toyota, we’re here to help you with all your auto lease and loan needs. Schedule Toyota service or view our new Toyota lease offers, and Go One Better with the local hometown dealer you can trust:#1 Cochran! Our North Huntingdon Toyota dealer has a wide-ranging new Toyota inventory for you to choose from. Take a Toyota RAV4 test-drive or buy a family-friendly Highlander SUV. Our eco-friendly Toyota sedans like the new Toyota Camry and Corolla will help you experience Pennsylvania highways like never before. Or, save on used Toyota Tacoma or Tundra pickups that are as durable as they come. Plus, know that you’ll always enjoy Clearly Better Car Buying solutions with upfront and transparent pricing. We also have used Toyota vehicles for under $10,000 and off-brand models,giving you an assortment of options. Enjoy an informative and relaxed environment when you meet with the #1 Cochran Toyota finance team. Our financing specialists work hard to deliver exceptional financing rates, so you always know you’re getting a great price on the vehicle you love. We go the extra mile in hopes that you’ll visit us for expert Toyota service over the years. From routine maintenance to detailed repairs, our certified-Toyota service technicians have your best interests in mind. If you’d prefer to buy your own Toyota parts instead, we make it easy to order genuine Toyota parts online. Leave your worries behind by visiting #1 Cochran Toyota.Our convenient location at 12204 US-30 in North Huntingdon,PA,is easy for PA drivers visiting from Monroeville,Hempfield Township,Pittsburgh and beyond.Stop by today!